world of ours – whether its speciality be restos or racers, engineering or basic servicing – and heading into the workshop to find out what the people there consider essential to keeping it running smoothly. 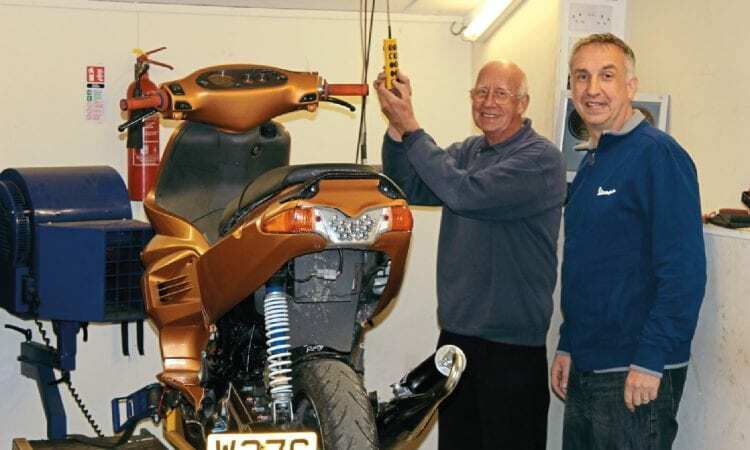 CBS Whitton, located in view of Twickenham rugby stadium, has been selling and repairing scooters since the late 1950s and since 1974 the shop has been owned by the Hasler family. 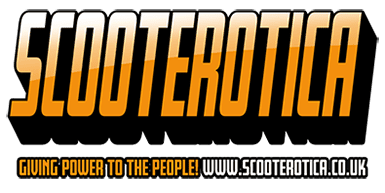 We interviewed Peter Hasler in last month’s Scootering and while we were there, asked about his choice of workshop essentials. What would be your workshop essential? From the 60s or 70s, a fly press. An absolute essential item, used to change fork arms and bushes on Vespas. Today, the dyno which is a godsend for setting up and tuning bikes properly, and especially good for setting up automatics. 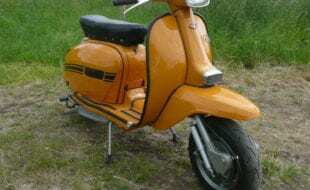 But my all time essential would be the Vespa cradle. 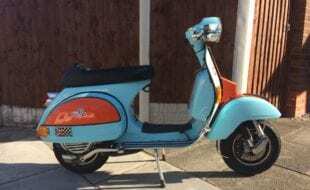 It’s one of only five that went from Douglas to Vespa dealers. 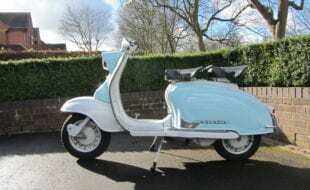 It slides under the scooter, clamps in two places to the floor boards and, with the absolute minimum of effort, any Vespa can be moved onto its side or even its back, allowing easy access for whatever job needs doing. 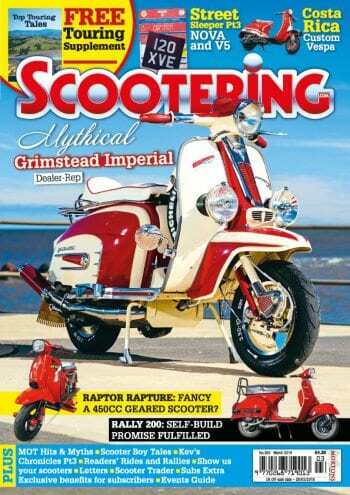 Although the shop sells more automatics these days, the Vespa cradle is still in use on at least a weekly basis. Is there any job the cradle can’t be used for? 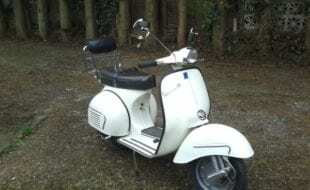 Yes, it had to be modified so it can now be used on any Vespa from 1945 to the current P Range. Prior to modification, some models like the GS needed the exhaust removing before going onto the cradle. T5s will fit, but the plastic spoiler has to be removed first. What kind of jobs does it make easier? Almost everything, from changing wheels, engines going in and out, fitting forks. It saves damaging the scooter. 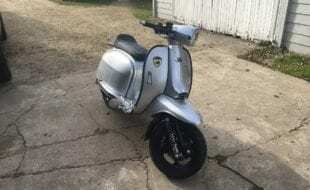 It is getting old and outdated now though and it only works on Vespa scooters, not the plastic automatic Piaggio scooters. Why were there so few cradles made? They were expensive. Except for ours, I don’t know the whereabouts of any others. In the Sixties I was doing a frame or chassis change almost every week. There’s been relatively few since then, in fact the P Range in the pictures is the first frame or chassis change I’ve done in a long time. Position: Owner of CBS Whitton Ltd in Twickenham. 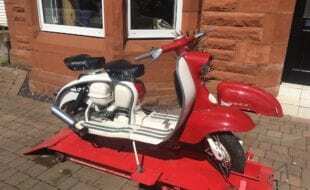 Last scooter ridden: Personally owned, my old 90 SS. I ride automatic scooters on practically a daily basis, but the most recent would be the P Range recently repaired using the cradle. 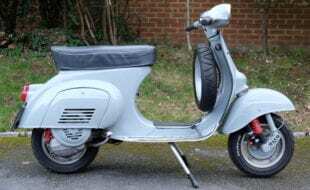 Next Post:Scootering classics: Such a lightweight… The Ali-Bretta!